Today I am going to share one more recipe post . 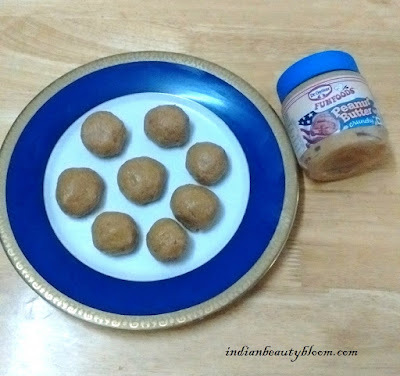 Recipe of Peanut Butter Crunchy Balls . 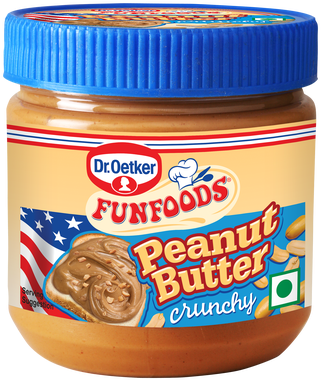 I made this with only three ingredients — FunFoods Peanut Butter Crunchy , Butter , Digestive Biscuits . It’s a No Bake No Cook Recipe which can be made easily with in 10-15 minutes . 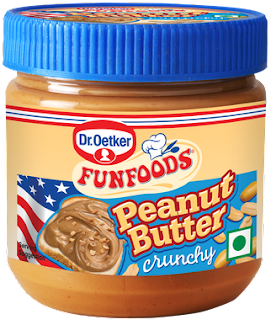 FunFoods Peanut Butter Crunchy is a type of Peanut Butter with pieces of peanut in it which gives it a crunchier taste . It can be used as a spread with bread , buns and sweet sandwiches . Much better and healthier than regular butter as it’s trans fat free . 1. Break the biscuits in to small pieces . 2. Put these biscuit pieces , butter , peanut butter in a mixer jar and churn it for few minutes till all ingredients mix well . 3. Grease your palm with little oil and make Small sized balls from this mix . Keep it in refrigerator for half an hour so that it sets well . Then one can enjoy these delicious Peanut Butter Crunchy Balls . With the taste of peanuts & butter this tastes too good . * Great taste , with pieces of peanuts in it , it tastes so good . * Affordable Price , Rs 149 for 340 gms . * Easily Available every where , in super stores , online stores etc . * Trans fat Free , Cholesterol Free . * Good source of Vitamin E , B3 , B6 .